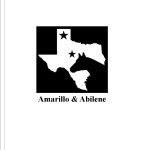 Visit the Original Amarillo Stockyards Cafe, located inside the Amarillo Livestock building. Serving good country cooking for breakfast and lunch, and dinner on Saturday nights! Bobby Edmond Horse Sales – Quality Horses and Professional Service since 1985. Sales every other month at the Amarillo Livestock Auction. Check our website for the schedule.